Our Teeth Whitening Vouchers will be posted within 24 hours, if you wish to receive an e-voucher please reply to our confirmation e-mail with request. Thank you for choosing The White House. 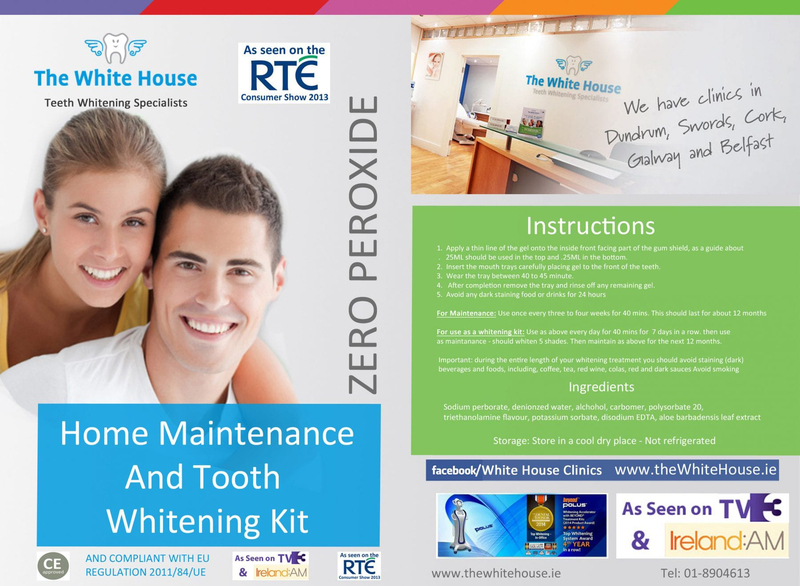 Advanced Whitening Treatment by Dental Professionals. Live on-line booking system, click here. 2nd Floor, Joe Daly House, Dundrum Main street Lower, Dublin 14.